Flashing Spectra Strobe Ball. 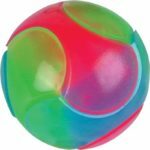 Rubbery ball made of brightly coloured translucent sections. 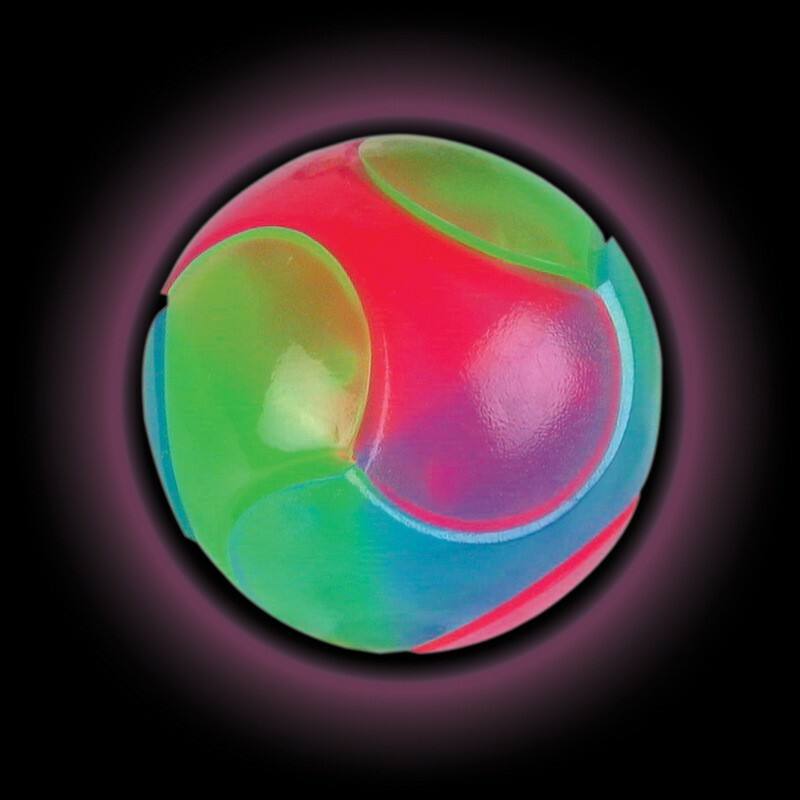 When contact is made, bright flashing lights are activated within the ball, illuminating the sections as it bounces.